There is something unexpected, almost aggressively cool yet charming about adding street art to the home. Whether its directly painted on the walls in a free form or hung up as art, street art is moving indoors as we are excited about that. 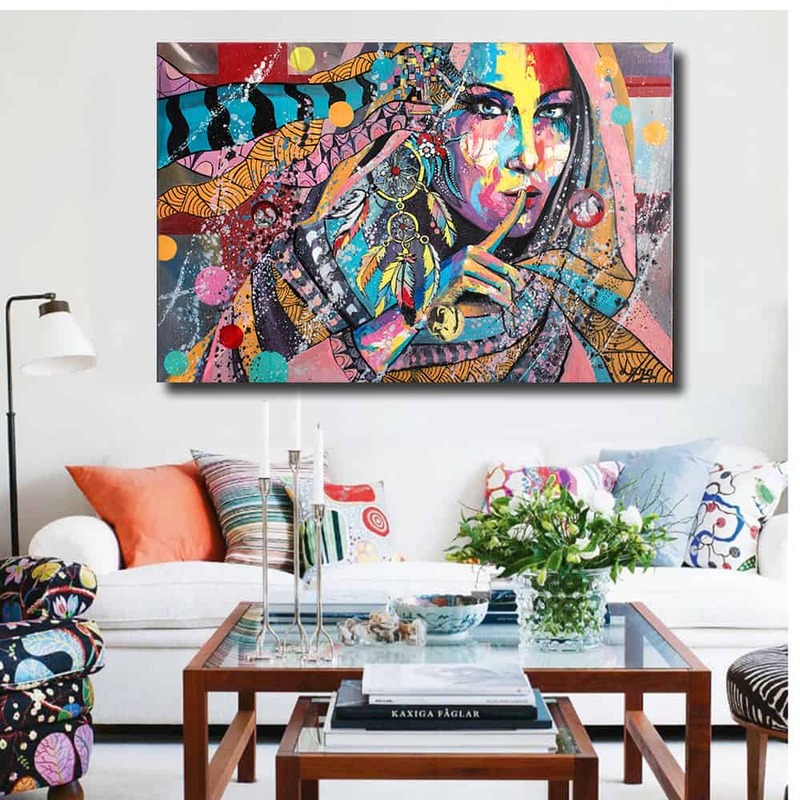 Street art is coming indoors to make a statement and we have found stunning ways to incorporate it directly into your current décor. The beauty of adding a large piece that makes a statement is having the rest of the decor add to the beauty of the painted piece. 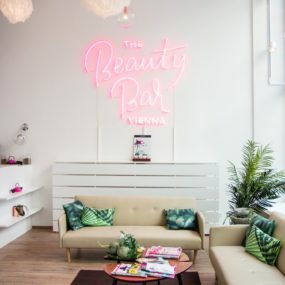 There is also the fact that street style comes in numerous different colors which is perfect when you want to work color into a room in a unique way. If you really want to bring attention to your living room the key is working in a large start art painting that brings everything together. Work it in, in a big way in order to create the perfect atmosphere that flows and expands the space. Send a small message or send a big message the idea is to have a message that makes sense and resonates with you and pair with minimal decor. The minimal decor will bring out the message on your wall and make the entire space make sense. You want to keep it as contemporary as possible. Send a message to a loved one in a unique way, but stenciling the message on your wall. 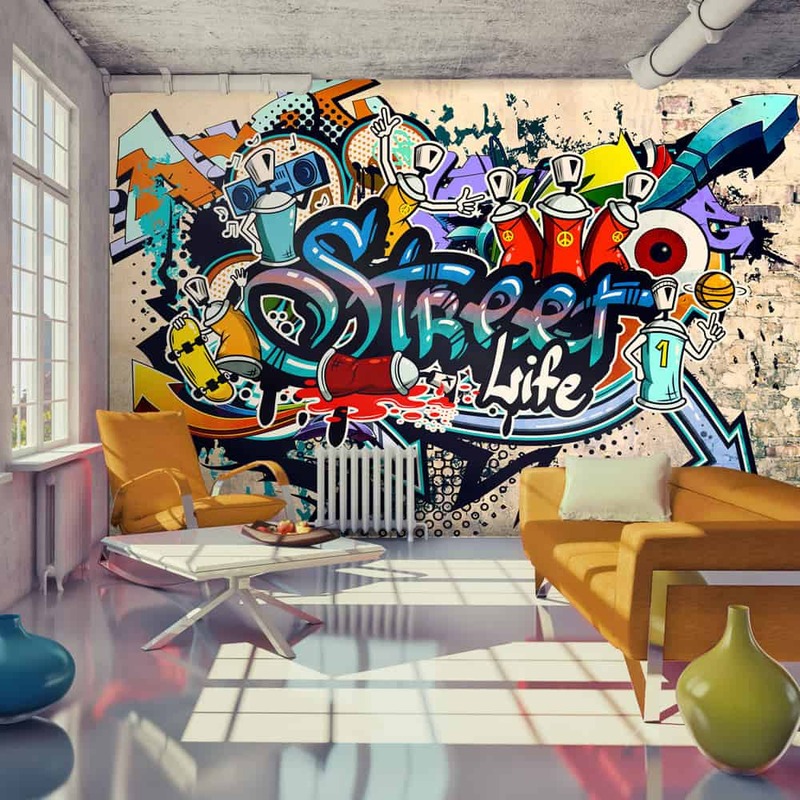 Create a graffiti moment right indoors for a rich touch of street art that brings your entire décor together. The key is keeping it simple and allowing the graffiti to speak for itself. 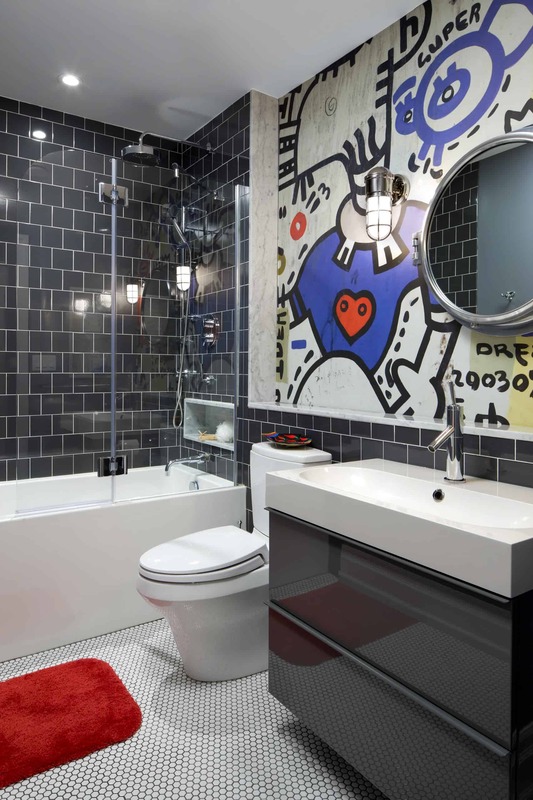 The bathroom or powder room are the perfect areas to add a street art touch because of how small the area can be. It provides the perfect contemporary scenario that brings everything together at once. The idea is to make the space appear as modern as possible for the ultimate perfect touch. 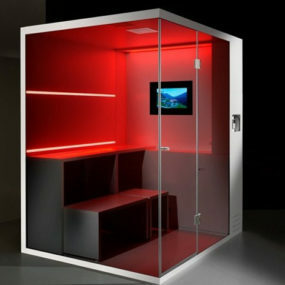 We love the idea of a power room that has no windows at all painted a rich dark hue and topped off with bright vivid in graffiti markings or designs. Keep it street art to the max for the best outcome. 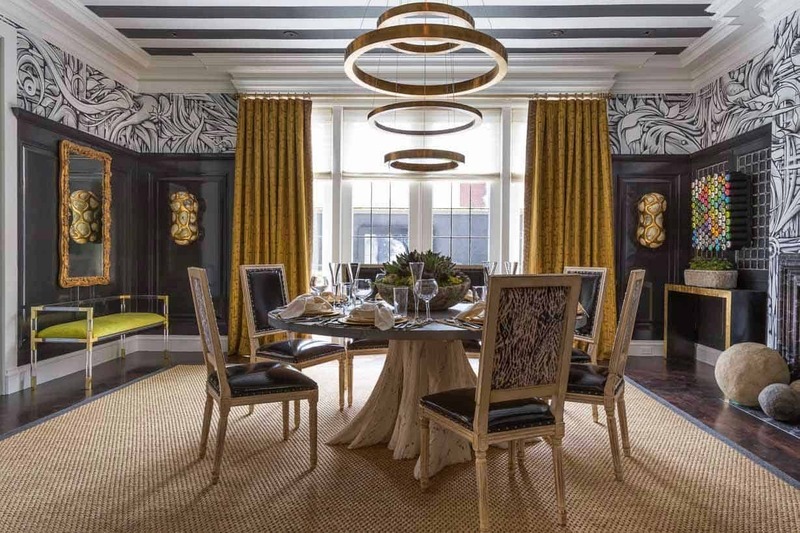 A small space with bold large markings gives an intricate twist. 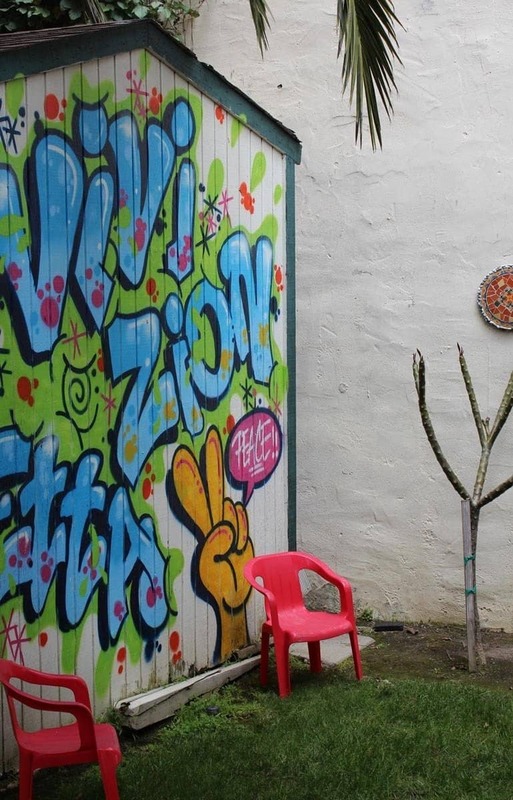 The mixture of the greenery with the bright hues of the street art will expand the area and make your outdoor area come to life. Keep the space with bold bright colors for the best put together look. Pair it with bright hues that makes sense in the area. Why keep street style on the inside of your home when you can combine the inside space with the outdoor space. Paint a bright mural that offers classic street art, aesthetics for the best outcome. 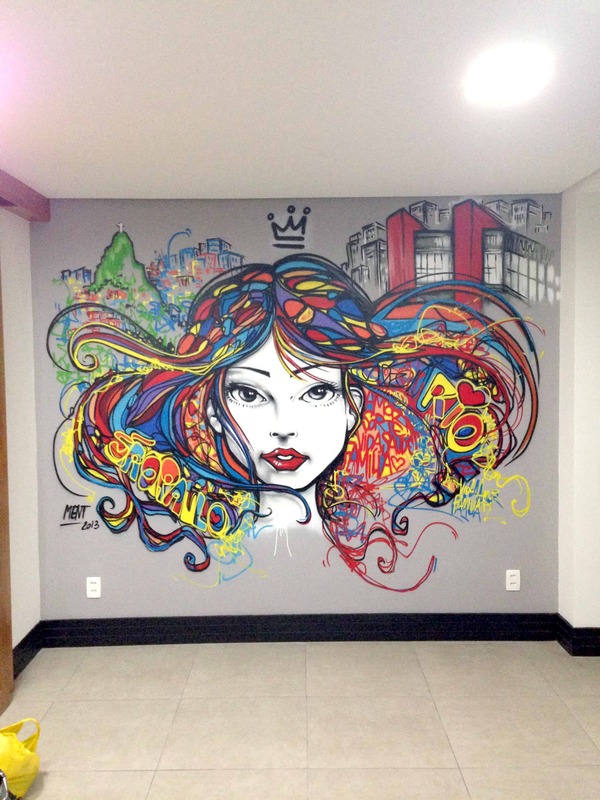 The idea is blending your current décor with the rich hues of street art. 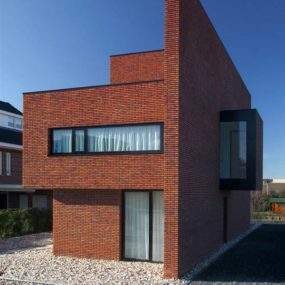 Its contemporary, its trendy, and it looks cool as ever. 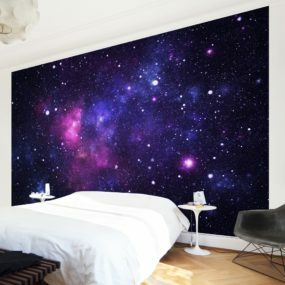 The idea is to make this wall the main focus of the room. 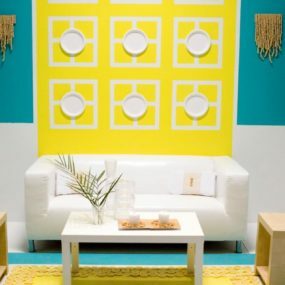 You want to make the colors pop and the room to appear modern while still being a part of the current decor. The beauty is the colors will make the room the space appear more put together. 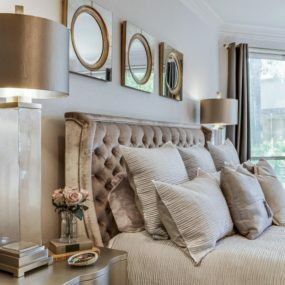 If making a small statement is not what you are going for this is the perfect way to stand out and give your home the punch of color and texture that it needs. 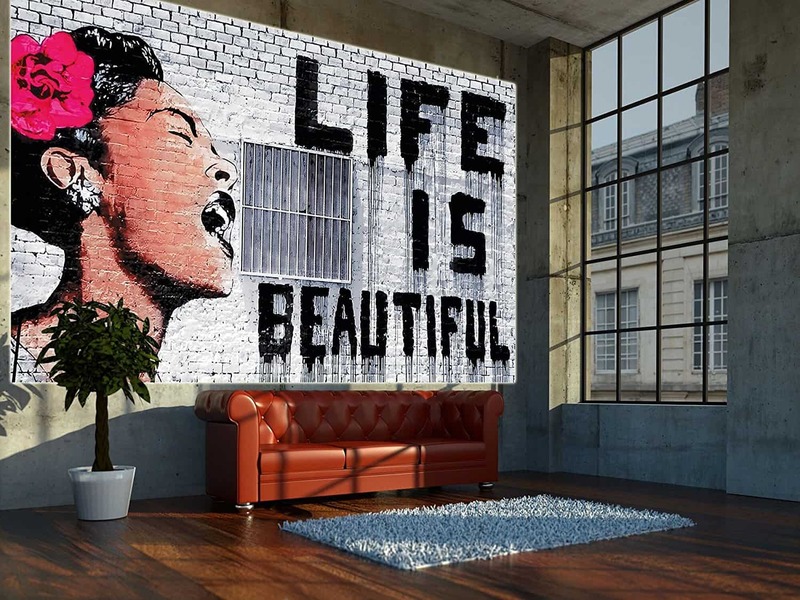 Create an accent wall dedicated to street art for the perfect contemporary touch to your home. 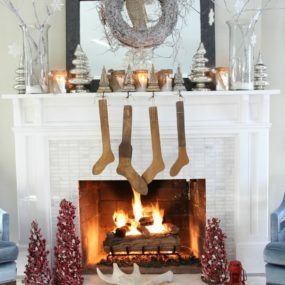 The perfect way to do this is to choose one space in the home and bring it to life. 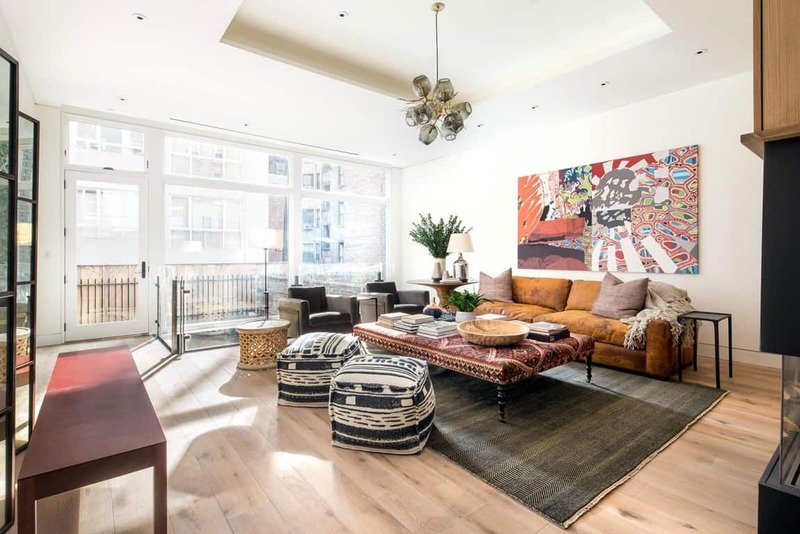 Subtle touches of street art are perfect to include in multiple different areas of the home. Keep it simple for the best outcome. The idea is to keep the space with little objects that bring the street style theme throughout the hoem for that contemporary feel. Bold and daring isn’t for everyone, but subtle is. 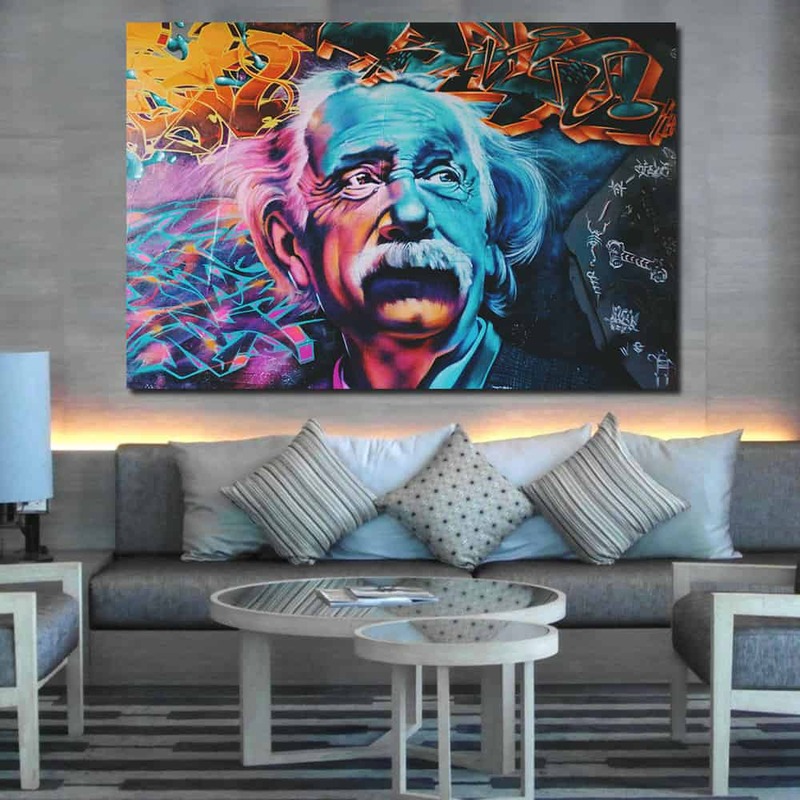 Therefore, adding a few hints of street art will bring the entire room together. Use a few bold colors and patterns that are originally part of street style artwork. Add a monochrome pop of color for the perfect combination to any street art painting you may have in your home. The idea is to make your street art, pop against any area it is placed in. 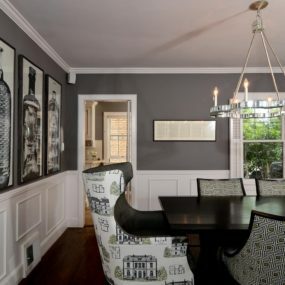 Using a black and white street art piece will make the space pop, especially when it is worked in with pops of color. Simplicity can go a long way when you are working with a bold piece of street art. 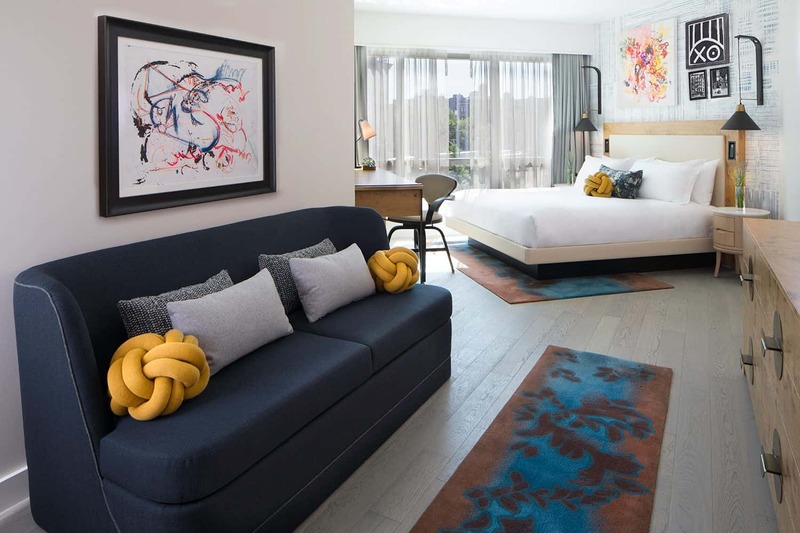 If you want to simply add in a daring piece keeping the decor neutral is the perfect way to do so as it will ensure the street art piece is the main focus of the room. It is also a great way to create conversation around this area of the home. Keep it simple is a great way to make any piece of street style art the main focus. You want to have minimal touches make the bigger picture. This will also keep the space looking cohesive and make sense without having over clutter. A foyer is an excellent place to add a bold street art piece because it is unexpected from the moment someone walks into your home they will get the first look at what is expected in the rest of your home. You can also make this piece the only statement piece. Getting creative is a great way to work street style into your décor. Choose an area of the home that needs a few vivid hues add a piece or two that feels different in the space in order to bring a little bit of street style in the home. Go bold or go home is the perfect way to explain decorating with such a bold piece of art. Keep the space well put together with a few vivid colors and ideas. The beauty of it is it will always appeal to the sizing of the space while keeping the area bold and cohesive. Choose bold hues for the greatest display of colors while creating a grand contrast between the hues already in your home. The idea is to create a new palette that feels modern and contemporary all at once. Keep it bold and fun for the best outcome. Street style can make your décor come to life. 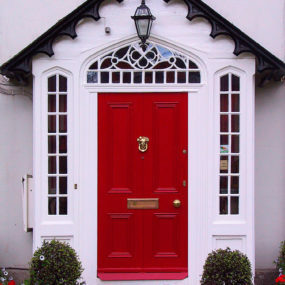 Which of these will you incorporate into your home? Let us know in the comments below.